Republican senators are confident that Sen. Susan Collins (R-Maine) will announce her support for Supreme Court nominee Brett Kavanaugh on Friday afternoon, after days of talking to her about her concerns. 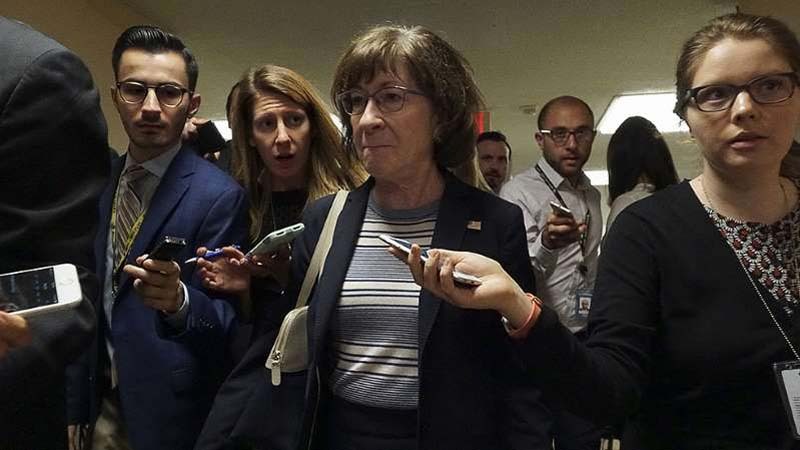 GOP senators swarmed around Collins after a key procedural vote Friday morning, in which Collins voted to advance the nominee to an up-or-down vote on Saturday. She cast her vote shortly after saying she would announce her position on Kavanaugh during a 3 p.m. floor speech on Friday. But Republicans are feeling assured that Collins won't sink Kavanaugh, which would send the GOP base into turmoil a month before the Nov. 6 midterm elections. Sen. Steve Daines (R-Mont. ), whose daughter is getting married this weekend in Montana, told reporters after Friday morning's procedural vote that they had the final confirmation vote "covered." "We're going to have a new Supreme Court justice this weekend and I'm going to get to walk my daughter down the aisle," Daines said. The Senate advanced Kavanaugh's nomination on a mostly party-line 51-49 vote on Friday. A mini wave of panic spread over the Senate GOP conference Friday morning after Republican Sen. Lisa Murkowski (R-Alaska) voted to block Kavanaugh's nomination. Collins and Murkowski sit next to each other on the Senate floor and Collins briefly hugged Murkowski after the vote. Senate Republican Whip John Cornyn (Texas) and Majority Leader Mitch McConnell's (R-Ky.) chief of staff Sharon Soderstrom made a bee line to Collins right after the vote to make sure she is not going to defect. GOP Sens. Lamar Alexander (Tenn.), Tom Cotton (Ark. ), and Lindsey Graham (S.C.) also gathered around Collins as well. "She's fine," said one GOP senator after the vote, referring to Collins.